is an Independent Travel Consultant with UniWorld Travel located in Kokomo, Indiana and works through the Sanburn Travel office. 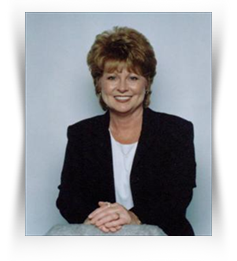 Linda has been in the travel industry for over 15 years and has traveled extensively in the US, Alaska, Cancun, Caribbean and Bahamas in addition to numerous cruises. She is a certified specialist for Disney, Las Vegas, Hawaii, Cancun, NCL (Norwegian Cruise Line) and also specializes in group cruises to Alaska and Hawaii. Linda is continuing her specialist training through courses with Travel Agent University to further extend her extensive travel knowledge. If you would like to contact Linda for assistance with any reservations, you may call her directly at 765-452-0363, at the Sanburn Travel office at 765-457-8131 or you can email her by clicking on the link below.